Crystal Palace climbed out of the Premier League's bottom three after completing their recovery from a goal down in stoppage time to earn a vital 2-1 victory over Watford's 10 men. At kick-off they remained 20th and desperate for all three points, but in a disastrous start their lack of concentration was punished by the visitors when Daryl Janmaat headed them into the lead in the third minute. Their improved intensity went without reward to the extent that when Tom Cleverley was sent off in the 87th minute they would have settled for a point. Bakary Sako instead scored their equalising goal in the 89th minute, and fellow substitute James McArthur secured an unlikely victory with his stoppage-time finish. The in-form Richarlison was gifted as much time and space to cross from the left wing as Janmaat was to convert it, and after the Brazilian's classy, curling delivery, the defender headed into the top right corner from in front of goal. He had returned to Watford's starting XI following an injury to Kiko Femenia, and amid their switch to a back three thrived out wide and again threatened when he forced his way into the area before stabbing wide of the left post. If he tested Palace on the right, Richarlison posed a greater threat on the left, as he again demonstrated by cutting into the area and curling beyond defender Timothy Fosu-Mensah and just wide of the far right post. When the hosts eventually responded, through Andros Townsend shooting harmlessly high and wide from 25 yards, it served only to capture the lethargic start they thereafter improved upon. Scott Dann, who had returned in the absence of the injured Mamadou Sakho, came far closer when heading just wide of the left post from Yohan Cabaye's corner after Janmaat had sent Townsend's cross clear when under pressure. Cabaye then gifted Watford a fine chance when a miskick gave possession to Troy Deeney. The striker found Richarlison in space and was rewarded with a dangerous cross that left him with a tap-in at the back post, but he instead struggled to connect after a subtle deflection from Dann and instead poked wide. With Wilfried Zaha regularly stretching them and having an earlier claim for a penalty dismissed, Watford were fortunate not to concede one on the stroke of half-time when Christian Kabasele wrestled Christian Benteke to the ground. Marco Silva's team again came close to doubling their lead when from the right Janmaat found Richarlison at the back post with another cross, but on his 400th Palace appearance, Julian Speroni impressively dived to save. The turning point came when Cleverley was sent off for his second yellow card after diving in on Jeffrey Schlupp. From space on the left, Zaha cut into the area to force a save from Heurelho Gomes, and after Sako's first rebound was also saved, he then poked in into the near open goal. Zaha was again gifted similar space in stoppage time, and after his footwork created space to cross, McArthur swept into the bottom corner to lift Palace up to 17th and out of the bottom three for the first time this season. 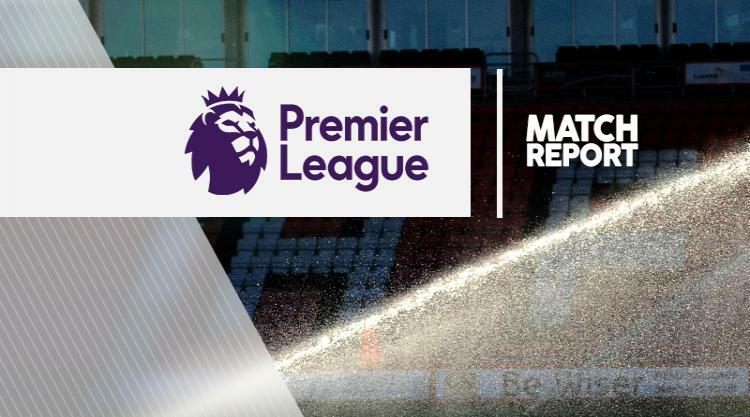 The post Crystal Palace 2-1 Watford – 12-Dec-2017 : Match Report appeared first on News Wire Now.